It's the perfect light bar for someone who requires a simple-to-use, low-profile mini Light Bar with a high-intensity output and low power consumption. 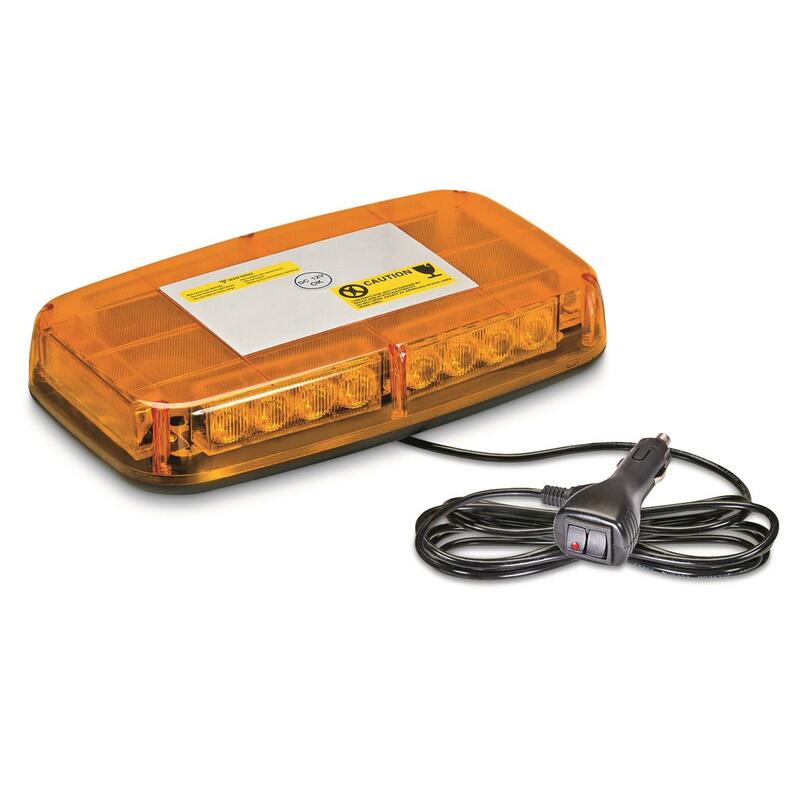 The intense beam from this Sure Safe Light can be seen 360,º even in daylight. Six LED modules contain four long-life, maintenance-free 1W Gen. 3 LEDs. No bulbs to burn out! Seven different light pattern options are available and can be selected with a simple touch of a button that's built into the cigarette lighter plug. A 10' heavy-gauge power cord connects the Light to the plug, while two powerful rubber-coated magnets securely hold the Light Bar to your vehicle without scratching the paint. To top it off, it's waterproof to take on all weather conditions. 10.5" x 6" x 2.5"h.
Sure Safe LED Light Bar is rated 5.0 out of 5 by 1. Rated 5 out of 5 by Lewie from Great Light I use this light every day for work, and it's nice to know that I'm highly visible. It is well seen during the day and that's good for me in the busy traffic of Hawaii. It has 7 light patterns and an on/off switch. Easily move trailers and equipment anywhere. Add a touch of manliness to your truck. Or office. Or garage.